This is a light and sociable cocktail for a holiday party. I would recommend sticking with lighter less peaty blends and Speysides for your scotches. 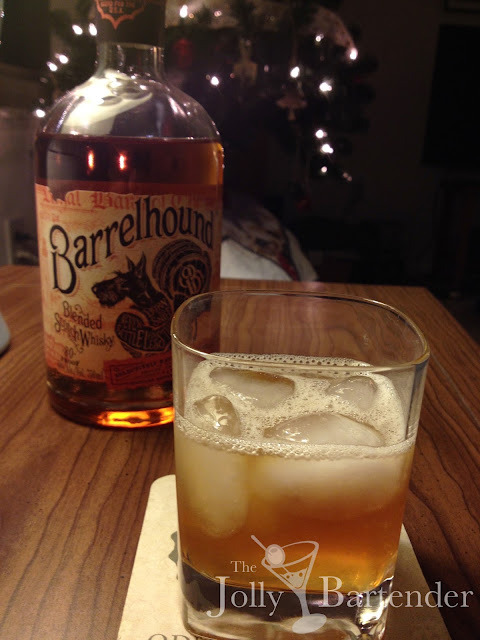 Or just use Barrelhound, which has no peat at all. It occurs to me that this recipe would be equally good with a smoky tequila or mescal. Shake all ingredients with ice and pour into a chilled Old Fashioned glass.